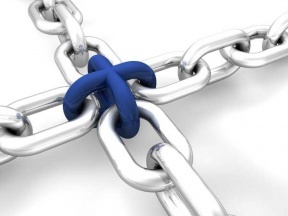 Think of a backlink to your website as a vote of confidence. When a website links to you, they're basically saying, "this site has good content, I'm even willing to send some of my surfers there, so I think it must be useful for them in some way." In a very simplified fashion, Google takes these millions of "votes" between websites and builds up a picture of the web, where the higher quality and number of links pointing to a website signifies a higher "authority". This process is similar to a person in the real world vouching for someone else. Obviously the person vouching would need to be knowledgeable in the topic at hand, and the more knowledgeable, or expert they are, the more weight the vote has. Similarly online, if you receive a link from a website in the same or similar niche, and that website is considered an authority, then it naturally takes on more weight. Now that we understand what links are, and why they're so important for ranking in the search engines, the question remains: how do we get these desirable links? There are plenty of methods, and your creativity, networking abilities, and website quality are all going to be a factor in the quality and quantity of links you can gain. We've created a list of the 10 best link building strategies that you can start acting on immediately. You're welcome to vote on the methods that have worked for you in the past, or add any we've missed. You will probably need a developer to create the code that allows other's to embed your widgets, so get one, or, if you are one, take a look at this tutorial that could help you get on track. Make sure to create a "widgets" link in your website footer where you showcase all the widgets you offer, as well as a way to customize them and allow webmasters to "grab" the embed code. This link building method might be a little more advanced then most, but sometimes great things take some effort, and this is one of those things. It's important to get to know the authority figures in your niche. I'm not talking about the websites themselves - I'm talk more about the people... website owners, experts, people who are active in the online communities. These people hold the key to market penetration, and it's very important to get to know them, offer to help them with things, and generally become social with them. You never know when one of them will decide to do an interview with website owners... and who do you think they'll turn to for a scoop? These things can lead to brand awareness, new customers and even some nice links. Often the best way to network with these people is through social networking sites like Facebook, Twitter (the best in my opinion), Google Plus, and any specialized niche social networks that are relevant to your topic. Also don't forget to promote your own social presence by including their links everywhere from your website header, to email signatures, and even on business cards if you have them. The more you spead the word, the more opportunities you will receive. Now, don't be a nag, and don't be irritating. Do not constantly beg for links, or ask to do guest posts, or any of that stuff. First get to know them person, try to help them out by offering them something for free, etc. Most likely, with some patience, you'll get offered opportunities in time. Just try not to waste your time on the small fish as this can quickly become a huge time sink.